Court rulings ordering a divorced parent to hand over a child to his or her former spouse are often ignored — largely because there are no specific procedures under the law governing enforcement of such a custody transfer. A revision of the relevant law is imperative to ensure that court decisions on child custody are enforced. There are two important points for consideration — creating a clear rule for the compulsory enforcement of a court order by a legally empowered official, and imposing financial penalties on the parties defying court orders to get them to comply. Either way, due consideration should be paid to the welfare of the children, including the potential psychological damage from the procedure. In the case of international marriages, the compulsory execution of a court order on a custody transfer is possible under the 1980 Convention on the Civil Aspects of International Child Abduction, popularly known as the Hague Convention. As of November, 95 countries were parties to the convention, which Japan signed and ratified in 2014. A law setting domestic procedures needed to implement the convention has been enacted and put in force. 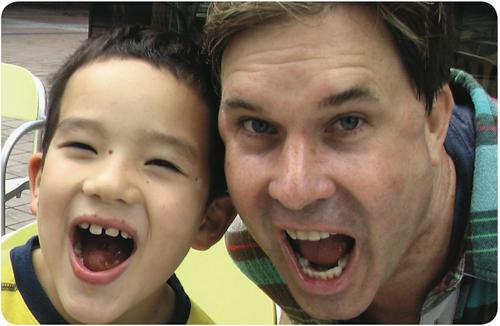 The law includes a detailed provision stating what an enforcement officer in charge of removing a child from a parent who abducted that child to Japan and handing that child over to the other parent should and should not do, including the need to try to persuade the abducting parent and asking for police assistance if necessary. The provision says an officer can use some form of power to restrain or make a parent who resists giving up the child comply, but prohibits the officer from using this power if it causes harmful effects on the child. The law says that if a court rules that a child must be moved back to his or her “state of habitual residence,” the parent who won the case can in principle ask for the decision to be executed by an enforcement officer after two weeks have passed. This rule leaves room for the disputing parents to agree on the transfer of the child in an amicable way without the involvement of an enforcement officer. 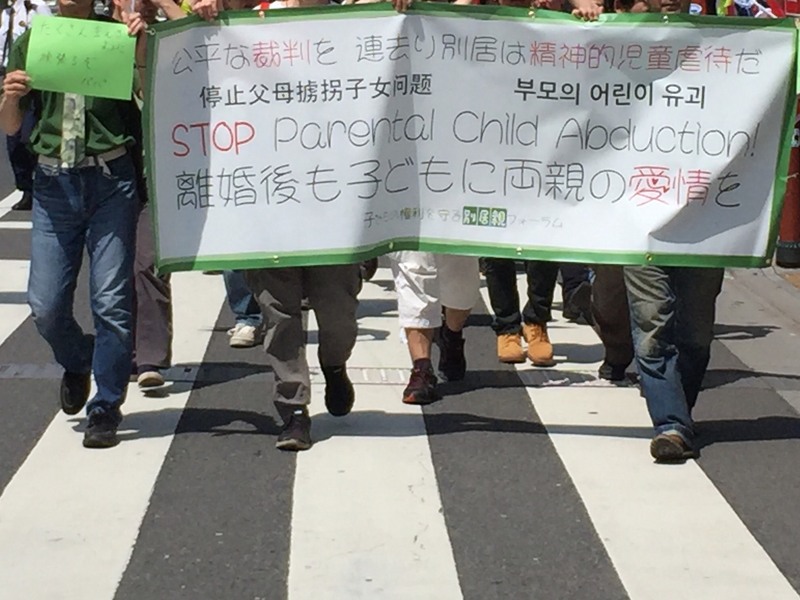 Last year, Justice Minister Katsutoshi Kaneda asked the Legislative Council, an advisory body, to look into revising the Civil Execution Law to set down specific procedures to enforce court decisions ordering the handover of children between divorced parents. Based on its recommendation, the government is expected to submit a bill for the revision to the Diet as early as next year. Setting down the relevant procedures makes sense given what is happening to divorced parents and their children. In 2015, there were 97 cases in which divorced parents with parental prerogatives or the care and custody right over their children asked that their former spouses turn the children over to them, but the children were handed over in only 27 of the cases, according to the Supreme Court. Merely setting the procedures for a compulsory execution of the court order — which would involve an enforcement officer stepping in to physically remove a child from one parent and hand him over to the other — may be too rigid and may not serve the intended purpose of the amendment. The procedures should include an indirect approach that may seem lukewarm but will eventually lead to the transfer of a child. One option would be to fine a parent who refuses to comply with the court and, to encourage compliance, the size of the fine would rise as long as the parent keeps refusing to obey the order. Priority should be placed on the indirect approach so that the child handover can take place in a more amicable manner. But a mechanism should also be included that will trigger a compulsory enforcement if, for example, it’s suspected that a parent ordered to give up the child is seeking to dodge the ruling by continuing to make the payments. 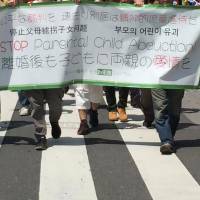 The law to implement the Hague Convention says that the removal of a child must be carried out when the child is together with the parent who took him or her to Japan, out of consideration for the psychological effects on the child. The advisory council should take into account how to minimize the risk of trauma on children in executing court rulings. Less than 50 percent of divorcing couples have planned for such matters as child support and visitation rights since the revised Civil Code was implemented in April, which requires couples with small children to do so, according to the Justice Ministry. As local governments accept divorce applications without making couples declare such arrangements, the effectiveness of the revision has often been questioned. The ministry collected its first statistics on the issue during the first quarter since the revision came into force. The results reflect the difficulty couples face in reaching an agreement on child-related matters. In tandem with the implementation of the revised code, the ministry in April added items to the divorce application form asking couples with young children to verify they have come to an accord on certain issues. This includes whether they have agreed on visitation arrangements for the noncustodial parent and how child support will be handled. According to the ministry, 32,757 couples with young children mutually consented to file for divorce from April to June. Among them, 15,622, or 48 percent, indicated they had made arrangements regarding visitation for the noncustodial parent, and 6,843, or 21 percent, had not. The remaining 31 percent did not check any boxes. Concerning payment of child support by noncustodial parents, 16,075 couples, or 49 percent, had made a decision on the matter, while 6,316, or 19 percent, had not. The other 32 percent left the boxes blank. In 2011, about 235,700 couples got divorced, with about 90 percent of them doing so by mutual consent. Still, there have been many problems concerning the handling of these child-related matters after divorce. “It’s necessary for couples to reach an accord [on such matters] for their children’s sake,” said Noriko Mizuno, a Civil Code professor at Tohoku University.